In today’s interview, Dr Nick Thompson, a holistic veterinarian and President of The Raw Feeding Veterinary Society gives us a vets perspective on improving your cats and dogs health with a natural, species-appropriate, raw food diet and shares advice about where to start. Nick is very passionate about natural animal nutrition and improving pets health by treating the cause, rather than the symptom. 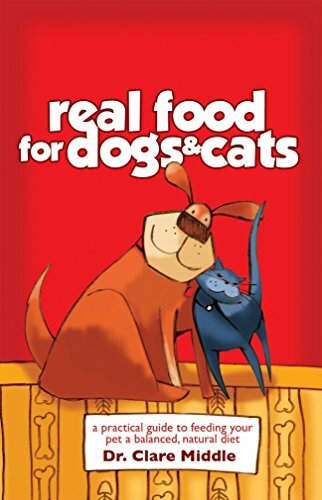 In today’s interview, we get a chance to talk about how cats and dogs have evolved to eat a specific diet of mainly raw meat, organs and bones and why feeding them processed canned food or kibble is detrimental. 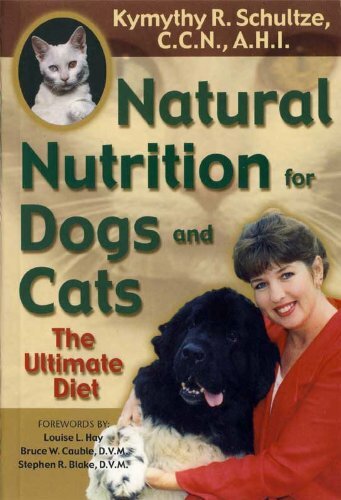 By going back to a diet that is more natural for cats and dogs we see the health benefits very quickly and it is hard to ignore the positive results in their overall health, energy and even their poop (which is better formed!). If you know someone who is interested in finding out more about why they should be feeding their family cat/dog a natural raw food, or anyone interested in some simple tips on how to start and the best ways to transition their pet, this interview is for them. I enjoyed this interview with Nick as he guided us through the logic behind feeding a raw food diet to cats and dogs. For those of us who are new to raw feeding and are a bit scared about harming our pets because we are unsure of where to start, Nick simplified the process with easy tips and advice anyone can follow. Special thanks to Nick for joining me on the show. Enjoy the episode! For more information visit the Holistic Vet website, The Raw Feeding Society, or you can find Nick on Twitter & Facebook. 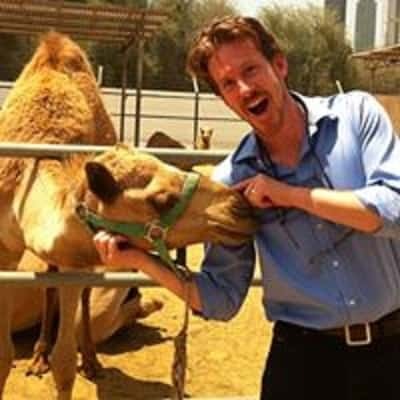 [00:19] – Introducing, Dr Nick Thompson, a practicing vet based bear Bath in the UK, who is the current President of The Raw Feeding Veterinary Society and has been a raw food fan for 20+ years. [01:49] – Is raw feeding (a new area of veterinary medicine) an accepted practice among vets? The Raw Feeding Veterinary Society has only about 115 members, with the numbers continually increasing each month, which would suggest there aren’t many vets who are active in their advocacy of raw feeding. In the UK there are others who are sympathetic to the idea of raw food and a few who are against it; everyone else is somewhere in between. [05:33] – It is generally not taught in the veterinary medicine syllabus, but it is starting in some schools. Dr Anna Hielm-Björkman has from a research group at Helsinki University put out a lot of research about raw feeding and is looking for funding. [07:05] – Nick shares his background and how he graduated with a vet degree and a degree in pathological sciences as he always wanted a strong research background. After going into practice, he grew increasingly frustrated with the tools he had at his disposal (antibiotics, steroids, non-steroidals and kibble) but the root of many diseases wasn’t being addressed. So, he got into homeopathy for animals and recognised that nutrition was a huge initiator and maintainer of disease. [09:22] – Your doctor will tell you how important a balanced, healthy diet is, whereas a vet advocates highly processed food for your pet. For Nick, it seemed logical to move from a processed food model of tinned food, or kibble (highly processed; the average kibble has 14 or more elements in it made from meat meal) to something more natural. [11:16] – Humans, dogs, and cats are all in different nutrition groups. Humans are the most flexible eaters, they are omnivores. Dogs are at the top end of omnivore scale, they are facultative carnivores and can also eat berries etc. Cats, on the other hand, are an obligate carnivore and eat all parts of the animal, head to toe. [14:53] – The problem with many of the mineral supplements, is that they don’t go through the transformative process of being first assimilated into plants, then herbivores and finally carnivorous animals like dogs/cats. This causes availability issues. Species-appropriate nutrition is essential as it provides nutrients in a form that cats and dogs have evolved to deal with. [17:30] – In addition to highly processed and high carb food we are feeding cats and dogs a formulated artificial diet that is unvaried, every single day. [19:39] – Cats might catch and eat prey, creating their own raw food diet, in addition to what they get at home. Nick explains, that generally, this doesn’t seem to cause any problems. [22:33] – A 2014 survey of 17,000 raw feeding vets around the world (with total experience of over a 1000 years between them) showed that 85% of dogs gained some type of benefit when transitioning to a raw food diet. [24:12] – Specific benefits include: better breath, cleaner teeth, less burping, less windy, less gurgling in stomach, better digestion, less colitis, better formed stools, better skin, less itching, smelling better and more energy. There are improvements to all health parameters, some of which are difficult to measure objectively but are obvious to the owners. [27:49] – Knowing how to transition to raw food might be overwhelming and somewhat scary for pet owners. Nick explains that today it is easy to make that jump as there are companies who provide complete and balanced raw, frozen food. There are two types of raw food: the meat only (which Nick believes is not complete as it is lacking bone and vegetables) and complete meals. [29:59] – With dogs you can go cold turkey simply putting them straight on to raw or you can transition them gradually by increasing the amount of raw food being fed, and decreasing kibble, over a seven-day period. [30:29] – Cats are fussier and might take more time to get used to the change. Two ways to convert cats: by adding small amounts of raw foods in incremental steps to its kibble (similar to dogs but longer time period) or by using the two-bowl method where you first put the raw food in a different bowl next to usual food and once it’s used to it start mixing it in incremental steps with its usual food. [35:01] – Can pet owners make their own? Nick suggests getting someone else to do it for you for the first few months until both you and the animal’s microbiome get used to it before trying your hand at making your own. Also, do your reading and educate yourself first! Three are some helpful books by Karen Becker, Ian Billinghurst, Kymythy Schultze, Clare Middle. (See some of Nick’s book recommendations here). [37:12] – Hooves and hide chews, if they have been processed, are not considered raw food. The chews which have been simply dehydrated at low temperature are fine; there are some good fish skin chews available. But, if you can’t work out how they’ve been produced don’t feed them to your pet. [39:51] – Are there differences between dog/cat sizes or breeds? Nick says they all come from the same gene pool and all have similar responses. Dog sizes make no differences in terms of nutrient profiles, you will just need to feed them different sized bones. Nick gives some examples of different breeds and suitable types of bones to feed. [42:05] – Nick explains how to introduce bone material to a dog. For the first month or so, don’t give them any bone as they will get it minced in their food. Later on, start with soft carcasses such as turkey/chicken, then move on to the slightly larger harder bones and finally the leg bones/marrow bones which are harder and more brittle. Important point: It always has to be raw, never cooked, to avoid blockages and injury! [45:48] – Nick explains that the raw food diet is not only easy, but the advantages and health improvements are also easy to see very quickly; within as little as two weeks. [46:57] – There are no problems with this even if you have a house pet vs an outdoor animal. Nick raised two children alongside a dog and cat on raw food. As long as the animal is provided with a space that is cleaned regularly, it is easy for ordinary people to feed this diet to their pets hygienically.